Looking for a Used Forenza in your area? CarGurus has 101 nationwide Forenza listings and the tools to find you a great deal. Geared toward first-time buyers, especially with its 7-year, 100,000-mile warranty, the 2008 Suzuki Forenza competes with the segment-leading Civic and Corolla by offering a lower pricetag. The compact sedan and wagon receives a few updates for 2008, including standard foglights in the Convenience trim, chrome exterior handles, and wheel-mounted audio controls in all trim levels. Optional Bluetooth is also now available. Built on a Daewoo platform, both sedan and wagon come in Base and Convenience trims, with an optional Premium package. A 2.0-liter, 127-hp inline four is the only engine, offered with either a 5-speed manual or 4-speed automatic. Base trims start out with full power features, a 6-speaker CD/MP3 player, heated mirrors, a tire monitor, and dual front-side airbags. The Convenience adds remote entry and cruise control, while the Premium offers a sunroof. ABS brakes are optional across the lineup. When tested side-by-side with the Civic or Corolla, the 2008 Suzuki Forenza lags behind in interior materials and fuel economy (19/28), but seems superior in overall interior room. Legroom is ample, and the sedan trunk holds 12.4 cubic feet, while the wagon trunk expands from 19 to 62 cubic feet. Rear seats split-fold 60/40, and the trunk comes with tie-downs. A roof rack is standard on the wagon. 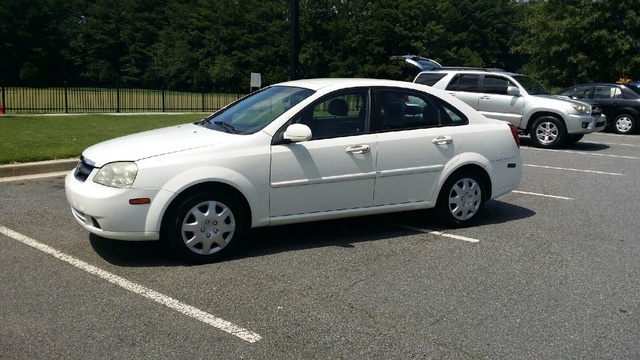 The 2008 Forenza rides rough on bumpy roads, accompanied by a lot of engine and wind noise. 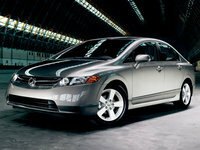 Its 16-valve four-cylinder suffers on acceleration, particularly with the automatic. The lack of side curtain airbags, even as an option, is a glaring drawback. But for college students or recent grads, it's a viable city car, thanks to its low price, spacious interior, and long-term warranty. Though it doesn't quite compete in terms of overall refinement with its compact sedan competitors, the 2008 Forenza gets you where you want to go with minimal fuss. What's your take on the 2008 Suzuki Forenza? 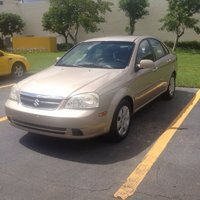 Have you driven a 2008 Suzuki Forenza?